Cult Beauty is genuinely one of my favourite websites. I’ve ordered from them countless times (see my most recent haul) as they have a great selection of high end brands and ones you might not be able to find so easily. From Anastasia to Kevyn Aucoin to Sunday Riley, there’s honestly a brand for everyone! Following on from my last haul, there’s a few more products have worked their way into my collection. Starting with skincare, two cleansers are now proud of place on my bathroom sink. Asian skincare brand Bio-Essence Miracle Bio Water Jelly Makeup Remover is not only a great price, but it also gets rid of every trace of waterproof mascara and heavy foundation. A definite winner in quick and effective cleansing on an evening when you just want to go to bed! The divinely scented Oskia Renaissance Cleansing Gel also came home with me. It’s got such a gorgeous texture and makes you skin feel so errr nice afterwards. You know those products you want to smother yourself in? This is one of them. Two masks are up next. 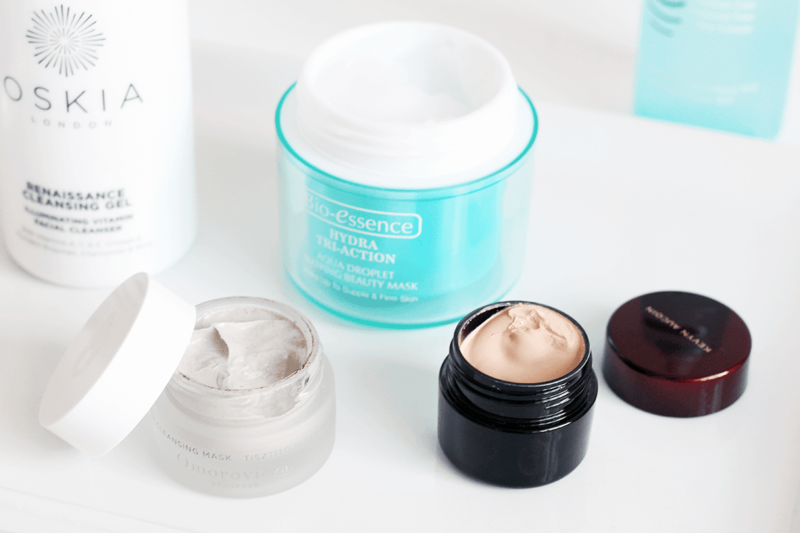 One is the Bio-Essence Hydra Tri-Action Sleeping Beauty Mask, which is a bit of a new concept for me. I think I tried one ‘sleeping’ mask before but wasn’t keen, but the texture on this is like a gel-moisturiser so I’m really keen to sample it! 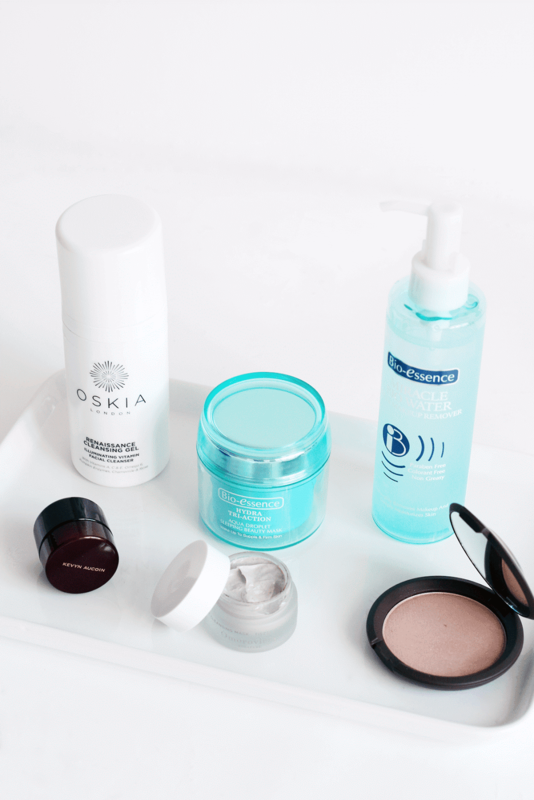 The other mask is the luxurious Omorovicza Deep Cleansing Mask which comes in this cute mini size which is perfect to try. I have their cleansing balm and really like it, so I’m keen to try more from the brand. Onto makeup and one I’ve been keen to try for a long time is the Kevyn Aucoin Sensual Skin Enhancer. I remember when this came out and blog world lost its mind, yet, as always, I’m late to the bandwagon. I’ve tried this a few times and I really like the customisable coverage and texture – full review coming soon I think! 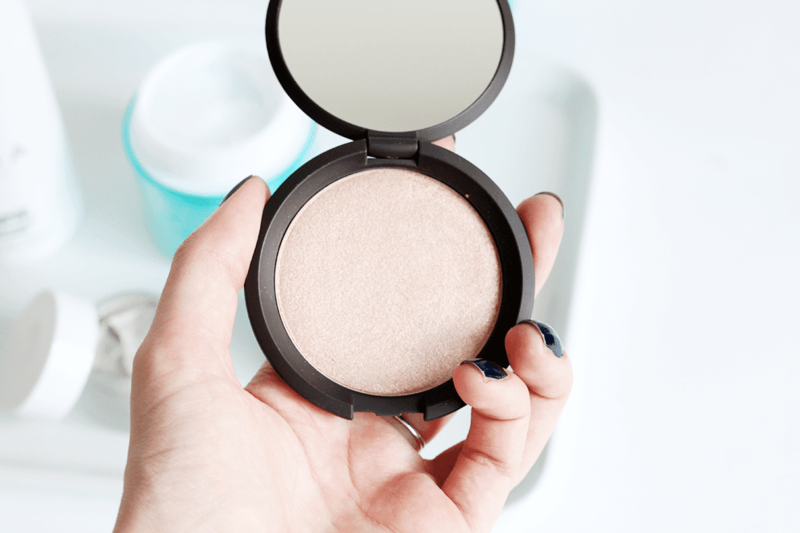 Finally, the Becca Shimmering Skin Perfector Pressed Powder is the prettiest thing ever! It’s got such a gorgeous glow to it that it’ll be perfect as a highlight or a very light dusting to brighten the face. Looking forward to using this! Next Post TODAY: Blog Sale!